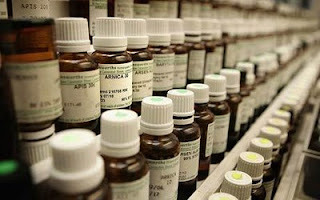 Origins of Homeopathy, the word “Homeopathy” is derived from two Greek words meaning “similar suffering”. History tells us that it was the Greek physician Hippocrates, who, in the fifth century, first wrote of the medical practice of treating like with like. So far as is known he was the first doctor to treat an illness with a substance that produces, in a healthy person, similar symptoms to those displayed by the person who is ill. In the 16th and 17th centuries, the principle “similia similibus curentur”, (let likes be cured by likes), was quoted by many physicians, including Paracelsus, often regarded as the ‘father’ of holistic medicine. Homeopathy is therefore not new but the form we know today is attributed to Dr. Christian Friedrich Samuel Hahnemann (1755 - 1843), a German Physician who in 1796 prove his "Law of similars". The basic principal of homeopathy is "Let like be cured by like". There is no scientific proof as to how Homeopathy works and although individual trials have positive results, some researchers have suggested this is down to a placebo effect. However that argument falls down when it comes to work on animals and many vets use homeopathy on animals. Homeopathic remedies are made from a large variety of substances minerals, plants and animal substances and the first stage in making a homeopathic remedy is to 'prove' it. The original homeopathic remedy was 'proved' by Hahnemann. Homeopathic medicine, as we know it today, was produced by Dr. Christian Friedrich Samuel Hahnemann (1755 - 1843). He was a doctor who, after qualifying in 1779, soon became disenchanted with medicine as it was practised at that time. Hahnemann advocated much that is far from revolutionary nowadays: proper diet, regular exercise and improved social conditions. He was also very concerned about large doses of noxious substances that were prescribed as medicines. In 1790 Hahnemann became interested in an eminent Scottish doctor’s explanation as to how a Cinchona Bark extract worked to cure ague, or malaria as we know it today. Cinchona Bark, having been used for centuries in South America for the treatment of malaria, was introduced into Europe by missionaries and was proving successful. The Edinburgh doctor, William Cullen, accredited this success to its toning action on the stomach. Hahnemann did not agree, and was prompted to undertake an experiment on himself. As a healthy person he took a substantial dose of Cinchona Bark extract and found that he developed symptoms similar to malaria, the very disease the drug was used to treat. Hahnemann then went onto test many other substances in this same way; administering doses to healthy people, noting the symptoms that developed - and then using the substance to treat a disease when the substance picture matched that of the “poison” picture. Many of the substances Hahnemann used were indeed highly poisonous, and this prompted him to spend many years experimenting in order to find the smallest possible effective dose. He eventually developed the method of “potentising” the starting substance, and, by administering infinitesimally small doses, he found that he not only cured without undesirable side effects but also that the curative properties were enhanced. Such was Hahnemann’s success, particularly with endemic diseases, that Homeopathy quickly spread throughout Europe and across to America. Dr. Frederick Harvey Foster Quin introduced Homeopathy into Great Britain in the late 1820’s and 1849 founded the London Homeopathic Hospital. Homeopathy is recognised by Act of Parliament and widely accepted as a safe alternative form of medical treatment. It is practised by fully qualified doctors who are recognised by the General Medical Council and homeopathic medicines are available within the National Health Service.